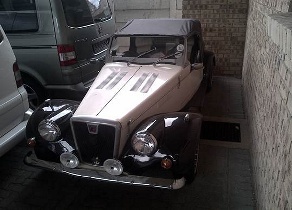 Excellent condition and well looked after. This car is a collecters dream. 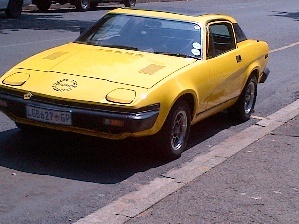 Webmaster's note: This car is known by Nols and previously belonged to a club member. Commission and engine numbers are valid. We have arranged special pricing for orders from www.triumphdvd.co.uk. Please take a look at what is available on their website and then email me at news@pretoriatriumphclub.co.za to order. 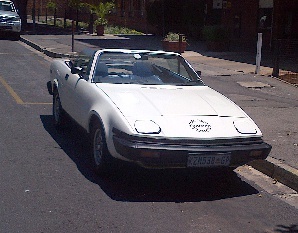 Deon Pelser is relocating an doesn't have room for all his cars, so one of his TR7s must go. Choose from a convertible or a hard top. Both are daily runners. Very original. 72 000 genuine km. Previous owner owned it since 1988 and it stood for very long. It has a hard and soft top and I recently replaced shocks, ball joints and tie rod ends. 80 000 km on clock but not guaranteed.